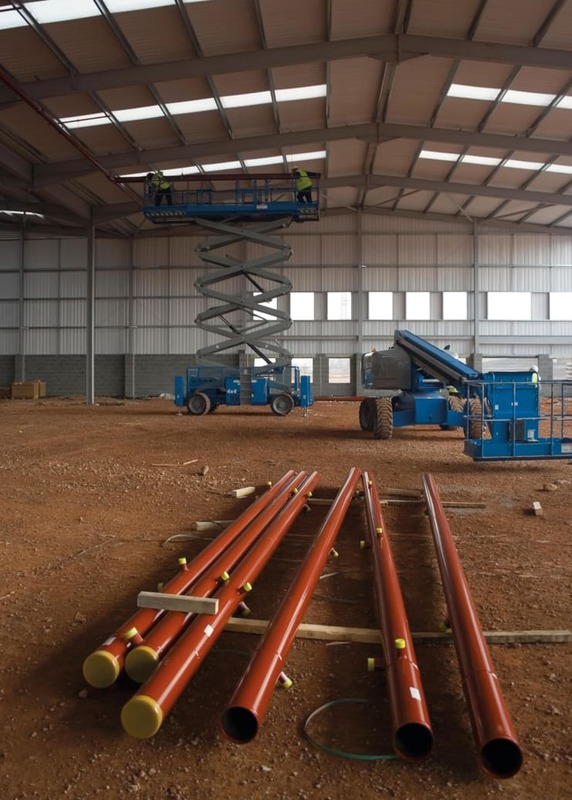 Falls from height are the number one cause of workplace injuries and fatalities; so as the safest method of carrying out temporary work at height it is perhaps no surprise that powered access has thrived in the last 35 years. Jason Woods shares his experiences of seeing the region’s safety culture dramatically improve during his time working in the Middle East. I have been in the Middle East region for almost a decade in total now, and in that time have seen things improve quite markedly in terms of the awareness of safety, training, good planning and project management. Not to put too fine a point on it, safety was too often a secondary concern in those days, with cost and completion dates ranking significantly above welfare of workers in the hierarchy. With such concentrated development in the region, workers were attracted from all over the world to help fulfill major contracts, but that influx often brought with it issues such as language barriers. Training, use of PPE, and understanding the basic standards expected in terms of site safety were all piecemeal at best; sometimes you had to teach a trainee how to wash their hands and put a pair of safety boots on before you could even begin to start showing them how to operate a complicated Mobile Elevating Work Platform, or MEWP. However, in the past five years or so I’ve seen a real up-turn in conditions, with jobs being much better planned and managed, workers’ welfare coming to the fore, and training and safety awareness consistently given much more prominence on work sites across the region. The main drivers have been a new influx of major international contractors helping their clients realise that the old ways were just not good enough, and delivering top-down requirements for adequately trained employees, better working practices, more capable managers and an all-round commitment to continuously improving the safety culture, expectations and behaviours. Some of the largest projects in the region, such as Expo 2020 here in Dubai, are now demanding the highest standards of training, safety and quality; for instance requiring managers to have undergone relevant training in how to plan and supervise work at height using MEWPs or MCWPs. That of course includes things such as carrying out a proper risk assessment, clearly delineating everyone’s roles and responsibilities, and ensuring operators are not only trained, but also familiarised on the machines they are being asked to use. The various industry health and safety advisory and government regulatory bodies in the region are also supportive of this culture shift and drive to lift standards across the board. While the demands of the job are still highly pressurised, it is simply not acceptable to cut corners and risk workers’ lives to get the job done on time or under budget. There’s still some way to go before minimum standards are in line with what is happening in Europe or North America, but things are certainly much improved and there is a real appetite to do even better. Organisations such as IPAF are continuing to work with the authorities, who are looking at introducing standards that are comparable to other parts of the world such as Europe and South-East Asia, and that in itself is a great stride forward. We’re also looking at new ways to engage with powered access operators directly, and to make life easier for them in terms of training. One great way of doing this in the UAE is to deliver courses using Hindi teaching materials, as so many of the workers here come from India. It may seem a small step, but it’s key to ensuring all trainees gain the required understanding of the material they are being presented with. It’s an exciting time to be involved in health and safety in the region, and I for one look forward to seeing how things have moved on in another five or ten years’ time. 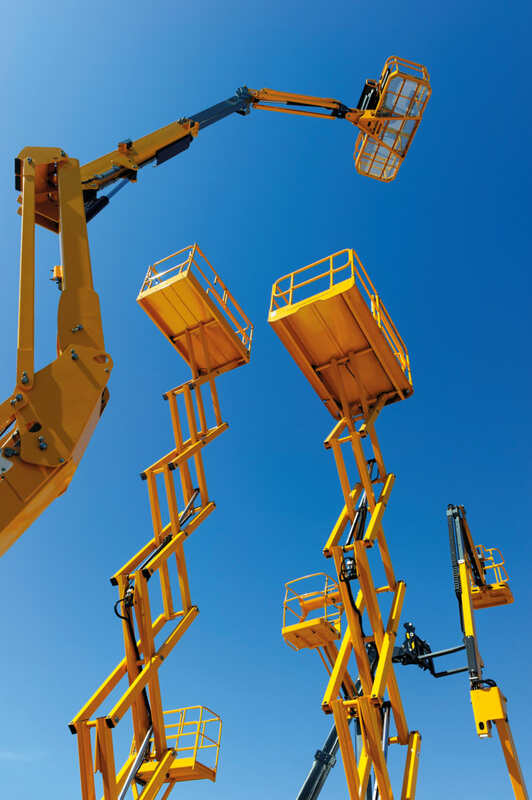 MEWPs are increasingly safe and sophisticated in design – it’s fair to say there is a piece of equipment available for almost every conceivable work at height requirement, from push-around scissor lifts designed for use indoors, to tall truck-mounted booms that can move up to six people to heights of 100m or more. Many operators or managers asked to execute work at height may not be regular users of powered access, so training, basic familiarisation of equipment and the principles of good practice are vital components of completing temporary work at height safely and successfully. Thankfully, while the types of equipment may vary in terms of technological sophistication and capability, the tenets of safe operation remain fairly constant. Adequate planning, choosing the right machine for the job, ensuring operators and managers or supervisors are properly trained and familiarised with the relevant machine, undertaking risk assessments, having a rescue plan in case anything goes wrong, making sure operators and bystanders are protected, and ensuring machines are secured to prevent unauthorised use are among the basics that companies should constantly strive to emphasise. A robust inspection, maintenance and thorough examination schedule is also key, as are considerations around having equipment safely delivered, loaded and unloaded on site. It’s important to take the lead in encouraging the reporting of near-misses, accidents and fatalities, and reports annually on the collated findings, calculating a Fatal Injury Rate (FIR) by comparing the number of reported deaths while using MEWPs against the number of days of MEWP operation worldwide. Most concerning when looking at fatalities is that the main causes of injuries and deaths were falls from height, electrocution, entrapment and overturn of machinery – which in one order or another have been the main causes of accidents and fatalities year-on-year. Near misses can also be extremely valuable in terms of safety learning, so it is vitally important that companies foster an environment where managers, operators or subcontractors feel empowered to report things that have gone wrong. Blame culture isn’t conducive to encouraging good reporting of nearmisses or accidents, and so all MEWP operators and managers should be encouraged away from this negative culture and towards reporting all accidents and fatalities. With everyone on board, this can make a real impact in reducing these recurrent causes. Investigations often show accidents are due to management failings or operator error, which can in almost all cases be anticipated and avoided, or at least mitigated. That’s why it’s of paramount importance to remind operators and managers of the need for: good risk assessment, choosing the right equipment, proper training for users and supervisors, sound technical and safety guidance and a robust incident reporting regime under which lessons are learned and shared across the business and the wider industry. IPAF's Back to Basics campaign launched with a safety trail using MEWPs in various at-risk scenarios at the construction expo Conexpo in Las Vegas, US, in February 2017. Variations of the practical safety trail were prominent at many of the federation’s event appearances, including at Vertikal Days at Silverstone Racetrack in the UK, Suisse Public, a municipal health and safety event in Switzerland, the BICES trade show in Beijing, China, and GIS in Piacenza, Italy. Important research was also carried out, debuting a special MEWP test rig at the APEX access industry event in Amsterdam in May; entitled “Which Way Down?” this assessed people’s instinctive understanding of MEWP controls and the results were fed into new global ISO guidance being developed for manufacturers aimed at finding a satisfactory standard for some of the key controls when operating MEWPs anywhere in the world. In November 2017, IPAF signed a Memorandum of Understanding with the International Institute of Risk and Safety Management at the IPAF Middle East Convention in Abu Dhabi, capital of the UAE, joining forces with the IIRSM in a bid to improve safety at worksites across the region. In 2018, the IPAF Summit will be held in Miami, USA, and the focus is still very much on safety, touching in particular on new standards of design, safe use and training for MEWP operations in the US and Canada, as well as wider concerns such as sustainability in powered access and the application of new technologies in safety and training. To this end a major industry-wide consultation has been launched on the potential for using new technologies such as Virtual Reality (VR) and platform simulators to deliver key safety advice and to help deliver operator or manager training. It will be interesting to see the global feedback from users of eLearning training modules as to what benefits new technology can bring. The recent Middle East Convention hosted by the International Powered Access Federation (IPAF) in Abu Dhabi, UAE, saw a Memorandum of Understanding (MOU) signed between IPAF and the International Institute of Risk and Safety Management (IIRSM). 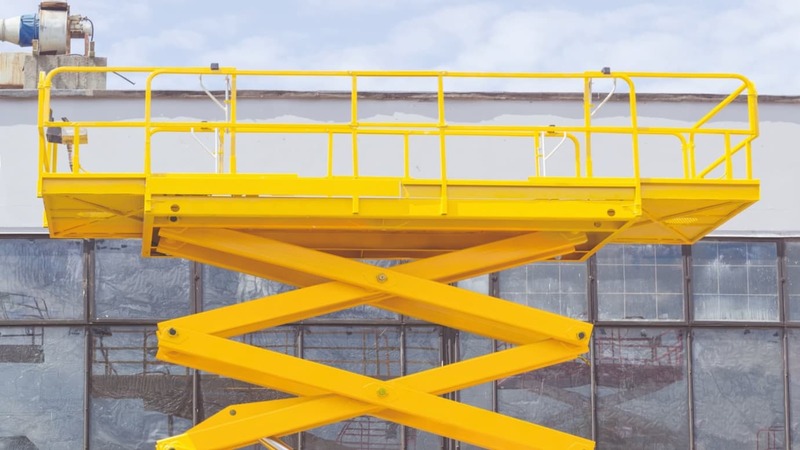 IIRSM is one of the most proactive and high-profile health and safety bodies in the Middle East, while IPAF’s operations in the region and the demand for accredited training has risen sharply in recent years. The MOU was signed by Tim Whiteman, CEO and MD of IPAF, and Phillip Pearson, Chief Executive of IIRSM, and the agreement announced at the annual IPAF Middle East Convention hosted in November 2017 at the Intercontinental Hotel in Abu Dhabi, capital of the UAE. The agreement was brokered by Jason Woods, IPAF’s Representative in the Middle East and India, and Matthew Cox, the Chairman of the IIRSM’s UAE branch. Jason Woods commented: “The IIRSM is one of the most active safety groups in the Middle East, supporting safety professionals throughout all industries. We at IPAF are focused on Mobile Elevating Work Platform and Mast-Climbing Work Platform safety and training provision, and have been working with the Institute for many years, from giving joint presentations on new standards to delivering practical safety workshops. Jason Woods is IPAF’s Middle East Representative, based in Dubai. With over 28 years’ experience in the access industry gained with equipment manufacturers, rental companies and training bodies, his key role with IPAF is to promote safe use of powered access equipment throughout industry and develop IPAF membership across the Middle East.